Inside the courtrooom, the oldest brother of Gonzalez wept as the man charged with killing his brother stood just feet away. "My emotions right now, I have no words to describe," said Efraim Gonzalez. "I have lost a person that meant a lot to me. He was my dear brother." 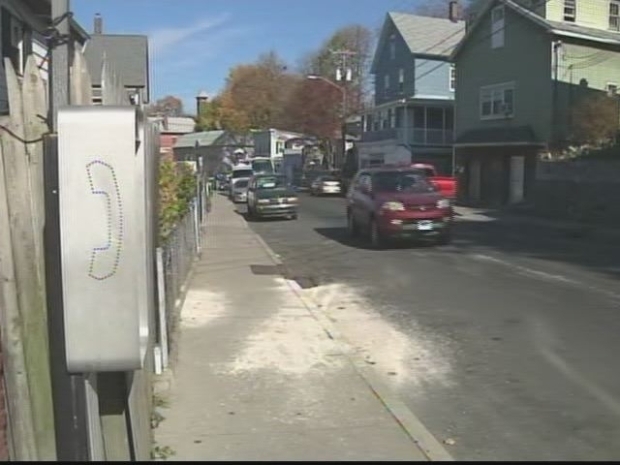 Police said the men responsible had rampaged through Waterbury, pistol whipping people. Other victims of the group survived and were able to give police descriptions of the attackers' vehicle: a dark blue or dark green minivan with gold trim. Police have since made two arrests and they are looking for a third man. Johnny Martinez, 22, of Jamaica Queens, New York, will be arraigned on Monday morning, the Waterbury Republican-American reports. He was charged with felony murder, murder and first-degree robbery, police told the newspaper. "It's my nephew. I give condolence to the family for what he did but when we get our lawyers we are going to find out what really happened," said Anthony Ruiz. In the arrest warrant, Martinez told police that he only intended to rob Gonzalez. He said that it was 22-year-old Michael Mark that hit Gonzalez with a brick. "My adrenaline was running so when I got there Mike stopped what he was doing and I came over and stomped on the dude's head," Martinez told police. On Wednesday, police arrested Manuel Vasquez, 23, and charged him with aiding/abetting murder and hindering prosecution, the Hartford Courant reports. Police believe that Vasquez drove the getaway car. Police told the Republican-American they are still looking for Michael Mark, 22, of Waterbury, They believe he struck Gonzalez over the head with a rock or a brick.